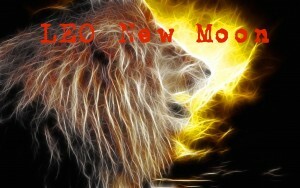 The Leo New Moon of 2 August 2016 is a powerful one. With six planets in fire signs–Sun, Moon, and Venus in Leo, empowered Uranus (standing still) in Aries, and Mars and Saturn in Sagittarius–this is a potent creative time. Using crystals to alchemize your New Moon intentions is powerful. They not only anchor in the intentions, but also offer you the energetic and emotional support that you need to bring your intentions to fruition. This is a powerful alliance between New Moon magick and Earth Magick. Leo rules the heart, and the Leo-Aquarius axis (they’re opposite each other) is the axis of Love. Aquarius gives it and Leo receives it. How can you open yourself and your heart up to receiving more LOVE? 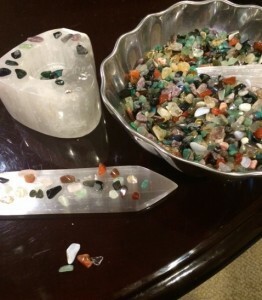 So, how do you use my crystal oracles to support your New Moon intention-setting? Click the link below and follow the instructions. I’ll be pulling the stones for you and listing what they are. If you’d like to interpret their message, rock on! I’ll be back to add my thoughts once you’ve taken a shot at it. The most powerful time for setting intentions is Tuesday 2 August 2016 at 4:44 pm EDT until Midnight Wednesday night, 3 August 2016. Make sure to purchase and post your intentions during this window for most potent manifestation!